I’m going to be a bit unorthodox and make list 4 games instead of 5. Only reason is, there are no other games I played last year (also released in 2017) that reach such a high level of quality. While I love Yooka-Laylee (Banjo-Kazooie/Tooie), I can’t put it up with the games you see below. These are games I’ve played or am still playing and very much enjoy them. Let’s take a quick look at why these are my gaming highlights of 2017. These are in alphabetical order, not in order of quality. While some annoying bugs persist, This has got to be one of the greatest games ever made. 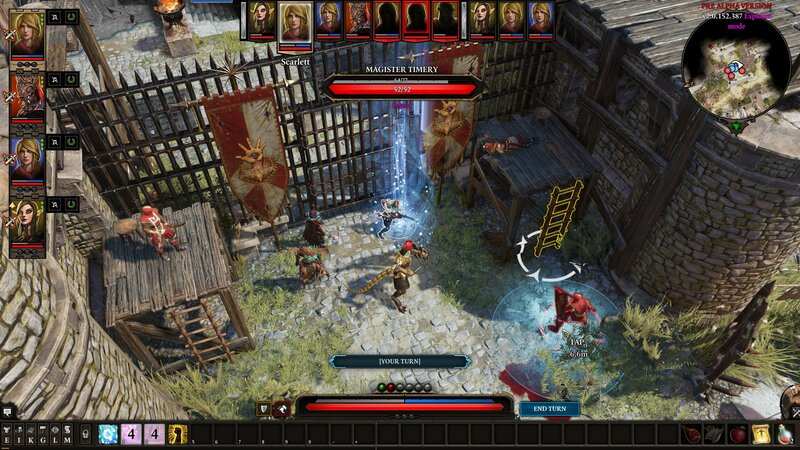 From the beloved soundtrack to the deep element mechanic, Divinity: Original Sin 2 is one of one the most immersive and enjoyable games I’ve played. You can approach any fight or conversation however you like, and even unlock additional options depending on your talent and race choices. For example, as an Undead, most citizens will cower in the sight of you. You’ll have to think of other ways to get around this! What’s even better is that it supports split-screen. A rare feature nowadays. I can’t recommend this enough. Guerrilla Games took a saturated genre, open world, and somehow made it fun. A lot of open world games can either be barren or unsightly. Horizon is the opposite of that. Wherever you go, the world rewards you with beautiful yet savaged scenery. There are multiple ways in which you can approach combat, well two main ways but with different options. You can be stealthy and make use of your traps to overcome your target(s) or maybe you’re the type who ‘improvises’. Whichever style you prefer, the games allows for it. While the story is good on its own, there are a lot of side quests that are entertaining enough so you don’t get bored when levelling up or getting money, resources etc. Ah! NieR: Automata is a pretty random game that came out of nowhere, at least from what I remember. My motivation to buying it was the incredibly fast-paced and combo-filled combat. It’s not just that, I love how the game has moments of ‘peace’, until you’re all of a sudden in a battle. While it is a hack n’ slash, NieR: Automata is a ‘multi-genre’ game. There’s flight and bullet hell ‘levels’, in the form of air combat or hacking, which is a lot of fun. You have to dodge things and hit them back, obviously it’s more enjoyable that what I just described. The story is also unlike any other, where you form questions about A.I and what it means to be human. The monumental battles and quiet moments combined with what I think has some of the most beautiful soundtracks, makes for a fantastic experience. Just make sure you at least finish endings A to E. It’s not as much of a slog as you might think. Breath of the Wild is among my favourite games. The biggest reason why is the freedom. You’re placed in battered world, with the ability to do, well…anything. Want to spend your time gathering ingredients and cooking? You can do that. Finding shrines? You can certainly do that. Maybe you just want to keep running until your hands are permanently stuck to your Switch. By all means, do that. It’s the sense of freedom, exploration and the music that makes your experience a bit more personal. While it is another open world game, it’s not the boring type. As I said with Horizon Zero Dawn, exploration rewards you in one way or another. You might find something you won’t expect. The story isn’t the greatest. The way it’s told is what makes it memorable. It’s one of those games where you need to play it to see what I mean. What are your favourite games released in 2017 that you’ve played? Great selection. Here is my list for 2017. Looking forward ti what 2018 has to offer in the gaming world. Interesting #2/3 choices! What did you like about NieR? Previous Post What Happens When You Modernise Retro Gaming?